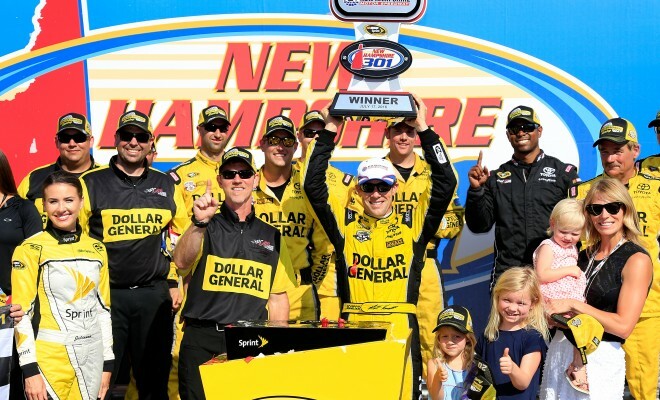 Matt Kenseth didn’t have the dominate car Sunday in the New Hampshire 301 at New Hampshire Motor Speedway, but that didn’t stop him from making a late-race charge and claiming the checkered flag. Kenseth started 18th and worked his way through the field to claim his second straight victory at Loudon, and 38th career victory. “You’re always pleased to be in Victory Lane,” said Kenseth. “The farther down the road you get, the better they feel for sure. 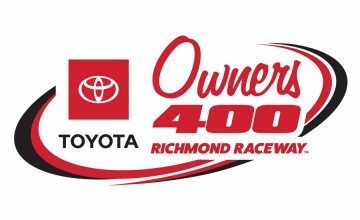 Thanks to everybody at Joe Gibbs Racing – I’ve said it a million times, but I’m blessed with this opportunity to be over here with the guys I get to work with. Ratcliff’s comments about the day weren’t far off of Kenseth’s post-race. As other cars started to fade off, Kenseth’s No. 20 Dollar General Toyota Camry made a late race surge to victory. Kenseth made his move on the lap 270 restart as he restarted on the inside row due to his JGR teammate Denny Hamlin taking the outside lane after electing to not pit and stay out on track. New rubber ultimately won the restart Radcliff called for fresh right side tires. By turn 3, Kenseth had enough momentum to get on the inside of Hamlin and take the lead. Despite three yellow flags during the final 27 laps of the race, Kenseth relinquished the lead. Kenseth’s win may become bittersweet later this week as his car failed post-race inspection. NASCAR will take the No. 20 machine back to the research and developmental center in North Carolina. Kenseth, who now has 2 wins on the season, and currently 8th in the points standings, is just about guaranteed to be one of the 16 drivers in the NASCAR Chase playoff’s come September when the series returns to NHMS. 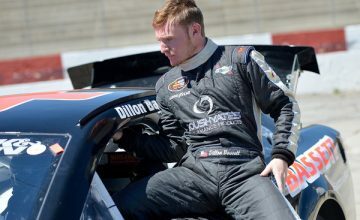 One of the other highlights of the race was the way Alex Bowman ran as the replacement driver for Dale Earnhardt Jr., who sat out of New Hampshire due to concussion like symptoms. Bowman’s finish at Loudon doesn’t do justice to how the young driver was running. Bowman was poised to have his first Sprint Cup Series top 10 finish in his 72nd start before a flat tire did the No. 88 in while working turn 1at lap 272. Bowman immediately returned to the track but was 25th with 24 laps remaining, he ultimately finished 26th. Bowman had nothing but praise for team owner Rick Hendrick and Crew Chief Greg Ives after the race. Tony Stewart went on to finish second, his third top five in the past four races. Joey Logano finished third, as Kevin Harvick and Greg Biffle round out the top-five. Kyle Busch and Carl Edwards both clinched Chase spots at New Hampshire. Busch led a race high 133 laps, while Furniture Row Racing’s Martin Truex Jr., in the No. 78, led 123 laps.